← The Big Reveal – Our Tropical Phytolith Reference Collection goes live! This time, written by scientific journalist Marcos Pivetta, this article covers what has been discovered so far by the archaeological research within the project and gives a first glance of what has been found from the palaeoecological research performed by Macarena L. Cárdenas and Frank Mayle. 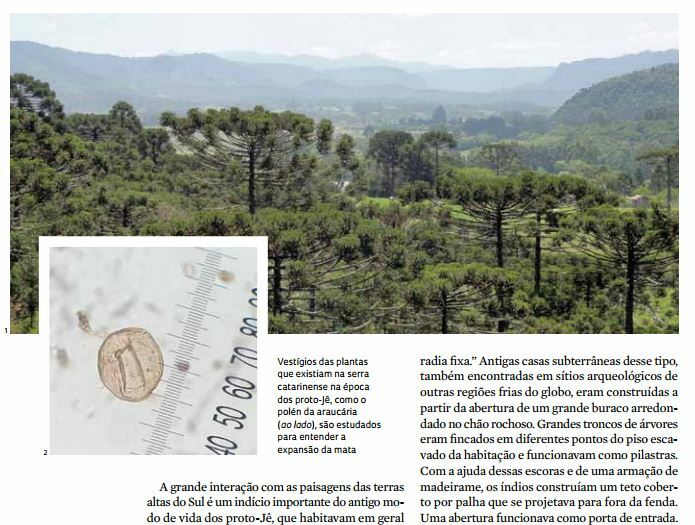 To read the whole article click here, available in Portuguese. Right hand click in the page to automatically translate in google. About FAPESP: São Paulo Research Foundation (FAPESP, Portuguese: Fundação de Amparo à Pesquisa do Estado de São Paulo) is a public foundation located in São Paulo, Brazil, with the aim of providing grants, funds and programs to support research, education and innovation of private and public institutions and companies in the state of São Paulo. This entry was posted in Je Landscapes, Media coverage, Outreach, Publications and tagged Macarena Cardenas. Bookmark the permalink.